I use SketchUp for modelling and AutoCAD for documentation. 3. Export as DWG with the full scale option checked. 4. 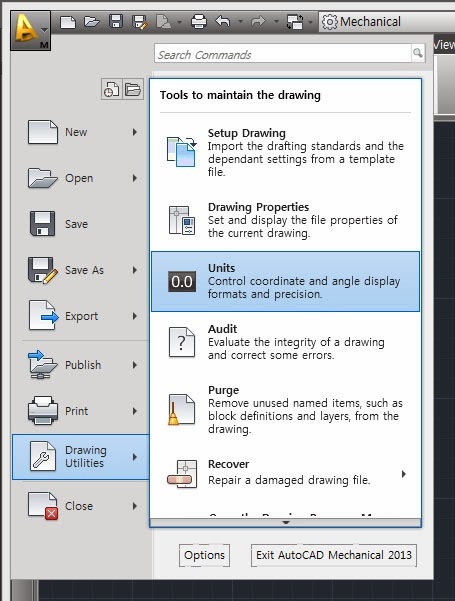 Insert the file as block or X-ref in AutoCAD with same unit. This way enable me to update the inserted block whenever I change the original model, export again, and replace the old one. But recently there is an issue. If I insert the exported file into AutoCAD, the file appear scaled by 25.4 (I use metric unit). This wasn't any problem before and I have been the same in the steps of my workflow. I guess there is some change in the DWG exporter in SketchUp 8 or something in AutoCAD. 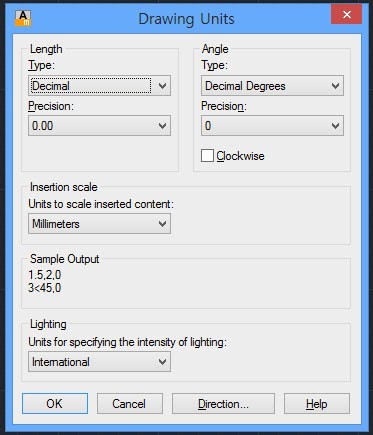 New simpler way to adjust insertion scale in AutoCAD. But care must be taken before you use this method. This method only can be used when you know the converted file made in metric but AutoCAD recognize it as in imperial unit. Then check the 'insertion scale' option in the new window. 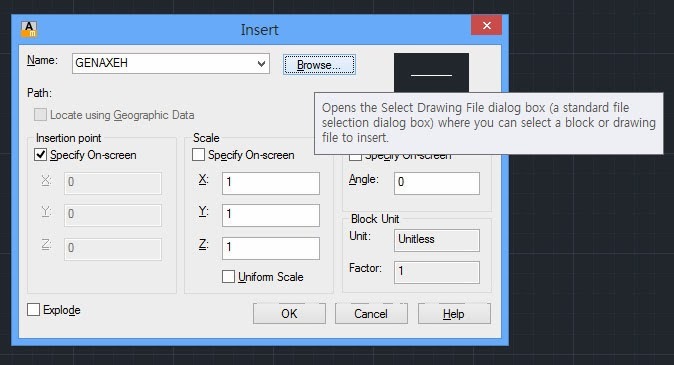 Change the option under 'Insertion Scale' so you can match the scale of the file generated from SketchUp. Once the setting done, insert a drawing that created from SketchUp. Type 'insert' to insert the file as block. Top of the window you can browse the DWG file you want to insert. Once you choose the file, make sure you have 1 in the block unit factor field. If you don't have the factor different, go to 'Drawing Unit' to change the setting in Insertion Scale field so you can match the proper scale. The reason of this happening seems that SketchUp exporter is working in imperial unit regardless of your setting and AutoCAD is working in unitless. No matter which unit setting you have in SU, after exporting the file to AutoCAD, you get to see imperial setting in inserting unit in the file. So, when you insert the file as a block, you can see 'block unit' is set in inches. Earlier version seem to export their model respective to the model unit but this version seem to neglect it. The solution that I have to take is changing scale setting in exporting dialogue box. Instead of having the 'full scale' option checked, type in scale factor to adjust the issue (1mm in drawing, 25.4mm in model).